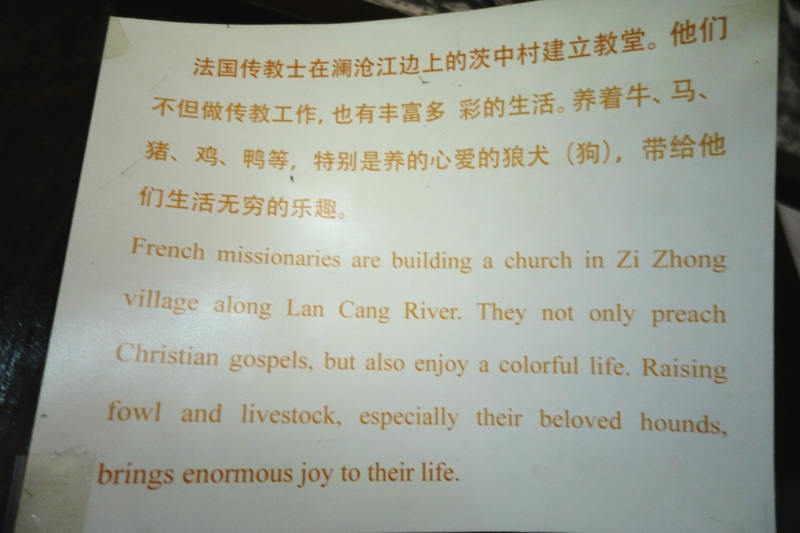 From “Circumcise” to “French hounds,” I present ten special moments from our recent trip to northern Yunnan, China. 1. 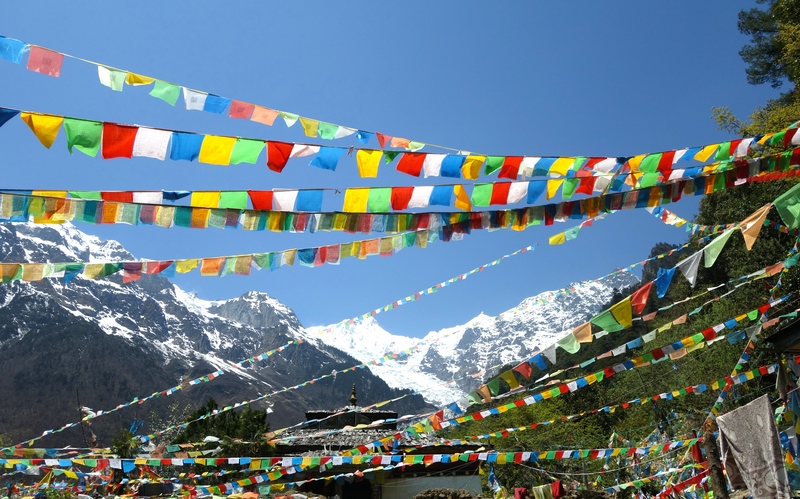 The Meili Snowy Mountains. 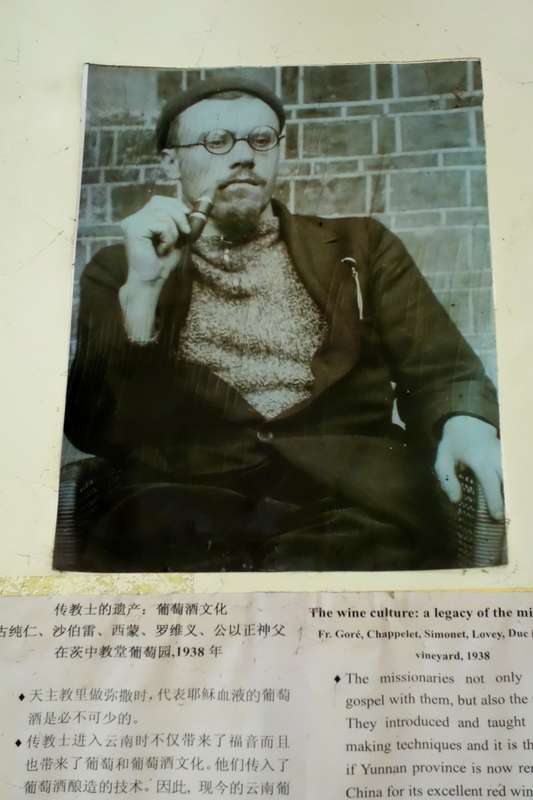 The more strange translations I encounter, the more I wonder if some twisted early China-hand wrote a Chinese-to-English dictionary rife with archaic word usage and sprinkled with blatant mistranslations (just to keep things fun!). If so, this dictionary, by all indications, continues to circulate widely in China. Aren’t they much more lovely than the strangely similar, but completely different, plastic bunting that hung outside of every tire store in America during the 1980s? 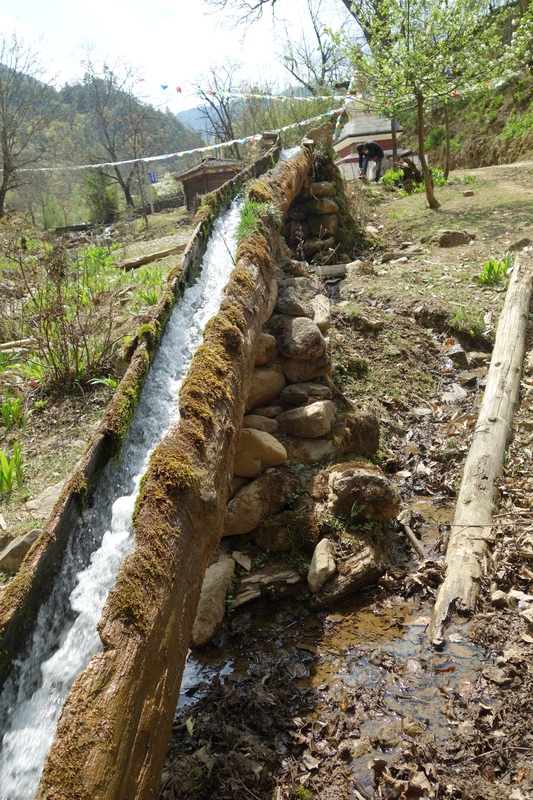 Water mills were dotted along many small, slopped roads. Stepping into one mill in-action, we witnessed a marvel of old-school, water-power. View of the mill from outside. View of the mill’s interior hard at work. 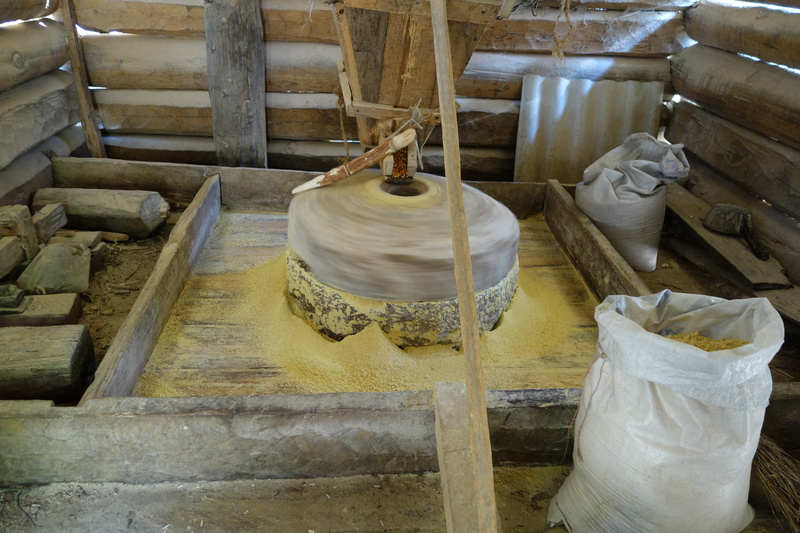 Note that the vibrations of the grinding stone are used to slowly, but steadily feed additional grain into the grinding stones. Hollowed-out log diverting water from the stream to the mill. 10. Free Birth Control at the Airport. 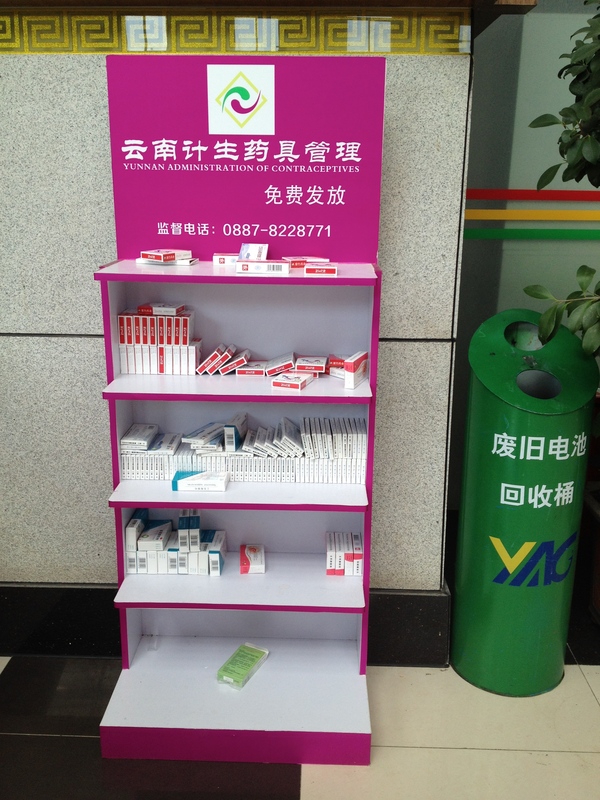 Finally, if you need to stock up on prophylactics or birth control pills, please stop by this handy kiosk in the Shangri-La Airport. If you want actual travel tips, perhaps you could buy a Lonely Planet (I didn’t, but thank you for getting me round India and Nepal in 1997!) or contact Songtsam (I did). 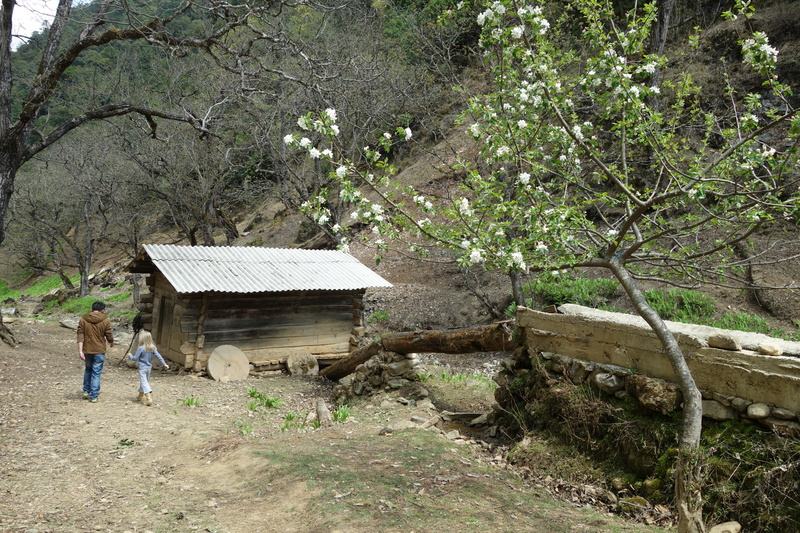 Also, for those waiting with bated breath: My child with a sensitive stomach was not carsick on Yunnan’s twisty roads. 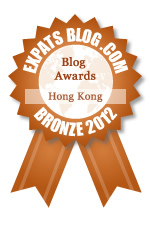 No, she kindly waited for the taxi ride home from the airport in Hong Kong to succumb. These are wonderful photos- what an amazing adventure you are on. Ha! I hadn’t thought about it that way (perhaps my son had a narrow escape!). The morning view was stunning. The nighttime sky was also amazing. With no electric lights in sight we could see so many stars. 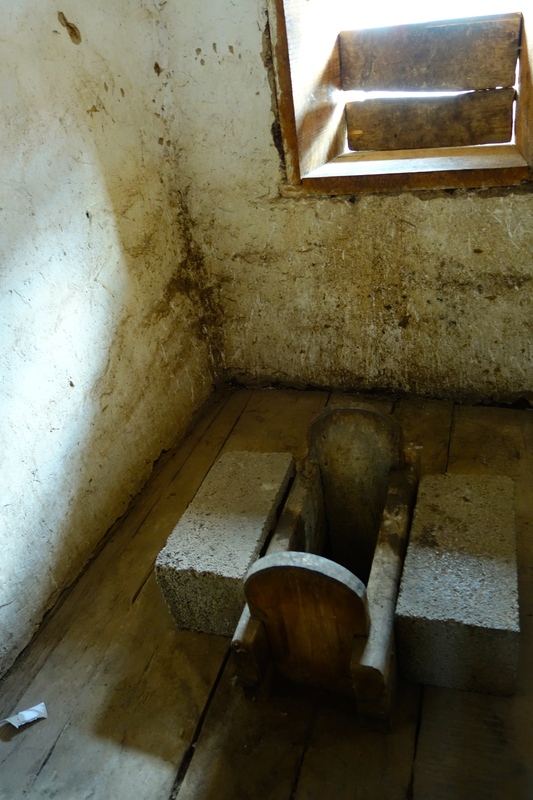 It was truly the best squat toilet ever. The little board meant there was no “splash back” problem (a problem I frequently face in the usual porcelain models). It was also awfully fun to pee 15 feet down, as the toilet was cantilevered from the second floor over a downward sloping side yard. Thanks Sally. It was an easy place to take stunning pictures; I could barely put my camera down! What ESL student do you think dreamed up the phrase “Circumcise and Venerability”? Fingers cross it was some sort of horrible Google translate knock-off and not a real person armed with the world’s worst Chinese to English dictionary! I love this kind of stuff, I really do. Great post! 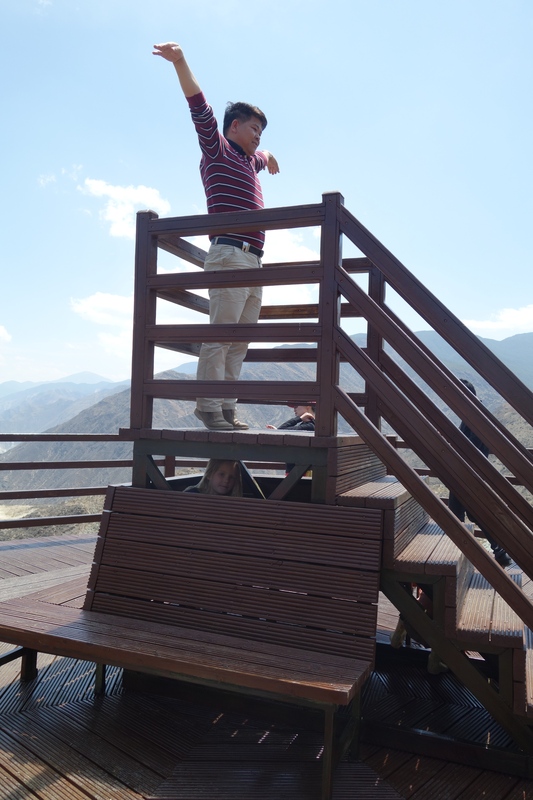 Love the pics of tourist with their ‘I am the king of the world’ pose. Hilarious. You got lucky to see a cloudless sunrise on Mt Khawakarpo. I am pleased to see that the church has not changed a bit. How was the mass? 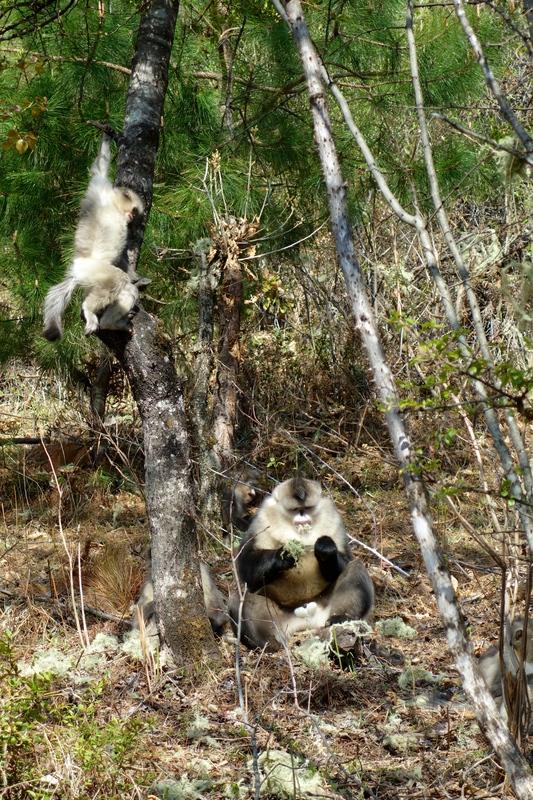 Nice pics of the snub-nosed monkey. You stayed in Tacheng on your way back to Zhongdian. We felt very luck to see that beautiful sunrise! 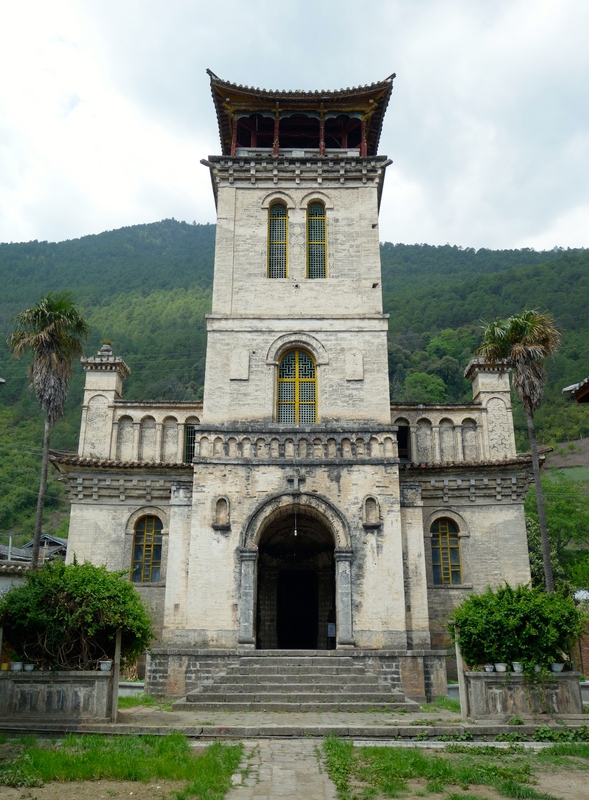 As for the church, we weren’t in Cizhong on Sunday so we didn’t get to see a service. 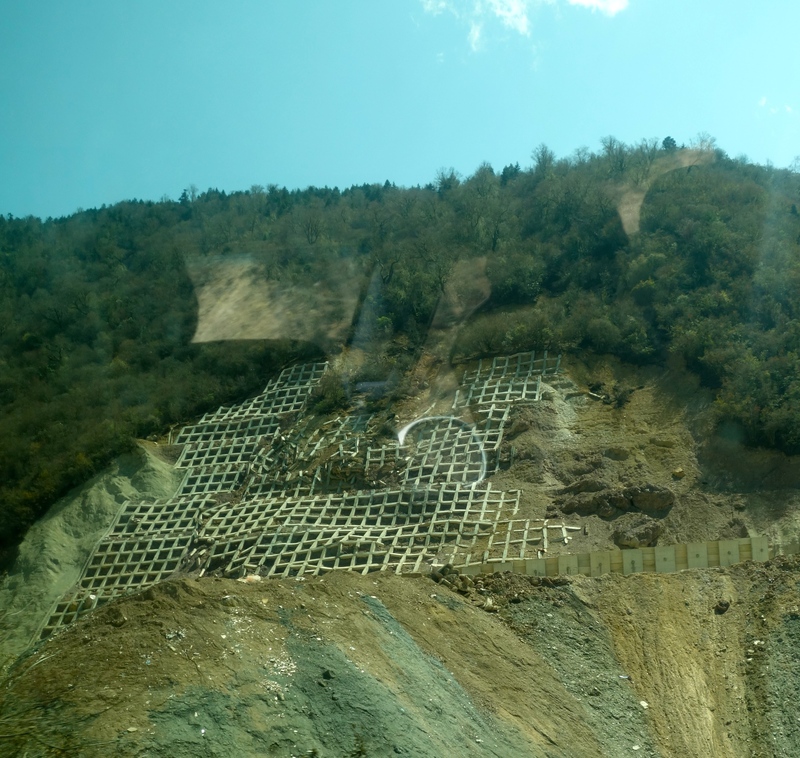 Our route was Zhongdian, Tacheng, Cizhong, Meili/Deqin, Benzilan and then back to Zhongdian. CERS looks to be an awfully cool organization that I hadn’t heard of (thanks for the tip!). No, we arranged in with a Tibetan guide via Songtsam. 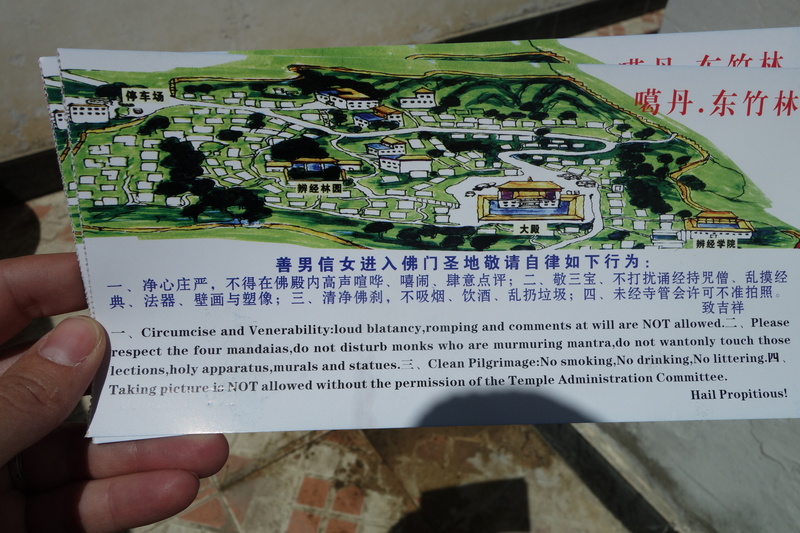 Also, aren’t Lonely Planet China books banned in China, even if you rip out the pages about Xizang and the like? Gorgeous photos! 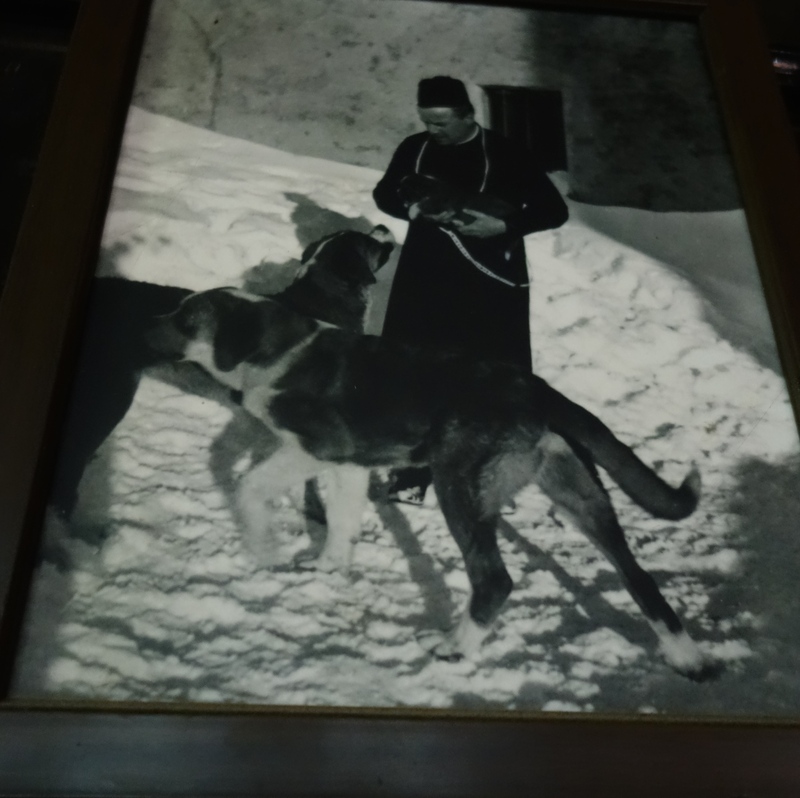 That French priest looks like such a hipster! Uber hipster! I think I might cultivate his look. I have been failing to adequately explain water mills to my children for over a year now. At first I thought it’d be easy but somehow I keep getting it wrong. We keep seeing decommissioned mills without moving parts and it’s just suddenly occurred to me someone must have put up a video of one on youtube by now and I’m probably stupid for not thinking of that sooner. I love your pictures, though, and I’m a teensy bit jealous your kids got to see one in real life. That dictionary is a revelation. I bet it exists. If it makes you feel better, my youngest was asleep in the car and didn’t actually get to see the water mill. Oh, and my older child (7) was only marginally impressed. I was the one who was really wowed. I suspect we would be the heavily impressed ones in our party, too. Kids! Looks like a wonderful trip! Another place to add to my list. It was really wonderful. You should certainly go! Have always wanted to visit Yunnan. What was the elevation where you were at? Experience any elevation-related illness? 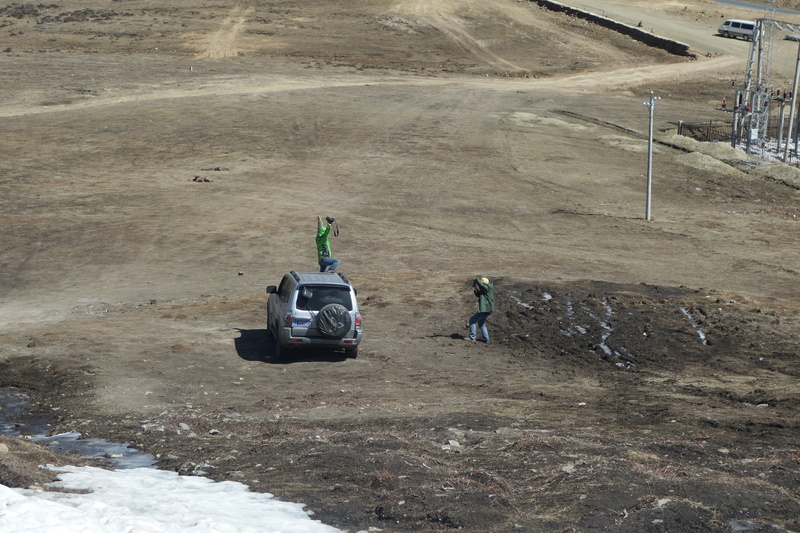 We got up to 3600 meters overnight and got up to something like 4200 meters during the day. We didn’t suffer any altitude sickness (me, husband and two kids), but I know others who only went to 3200 who did. Id’ say just go, but plan in a spare day to acclimatize in case you feel ill. It was truly awesome. One of our best trips ever.